San Jose del Cabo, Mexico - March 25, 2015: Long known as one of the world's most exclusive ultra-luxury resorts, the iconic One&Only Palmilla resort will re-open on April 20, 2015. One&Only Palmilla will welcome guests back to a resort that is better than ever with a number of new elements including the new steakhouse, SEARED by Jean-Georges Vongerichten, completely refurbished guest rooms and suites, new adult outdoor lounging areas and a new One&Only Spa and Fitness Center. Past guests of the resort will find what they have come to love about it, but will also discover some new experiences. Most importantly, One&Only Palmilla will continue to deliver the incredible warm and genuine service that guests love. "We are so thrilled to be welcoming back guests to One&Only Palmilla, a legendary resort in Mexico," said Mark DeCocinis, President/Chief Operating Officer, One&Only Resorts. "We are bringing the resort back, better than ever before with a number of new enhancements.With our incredible team, we will continue the generosity of spirit thatOne&Only Palmilla has been known for." 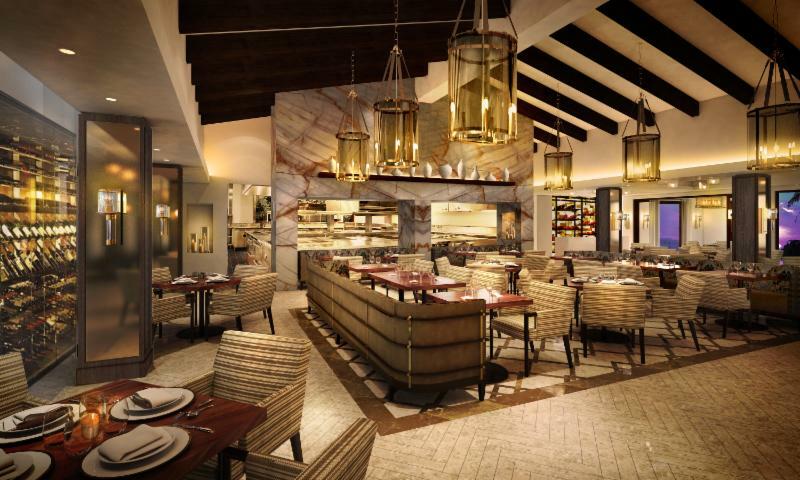 One&Only Palmilla is set to become THE dining destination in Cabo. Michelin-starred chef Jean-Georges Vongerichten brings his internationally renowned signature culinary style to a brand-new steakhouse at One&Only Palmilla, SEARED by Jean-Georges Vongerichten, showcasing a selection of the finest steaks-displayed in a glass-walled curing room-as well as chops and the freshest Pacific seafood. The décor at the steakhouse by Jeffrey Beers International offers smart and comfortable elegance accented by original Mexican techniques, with tawny marble, amber chandeliers, and Aztec geometric marble floors. 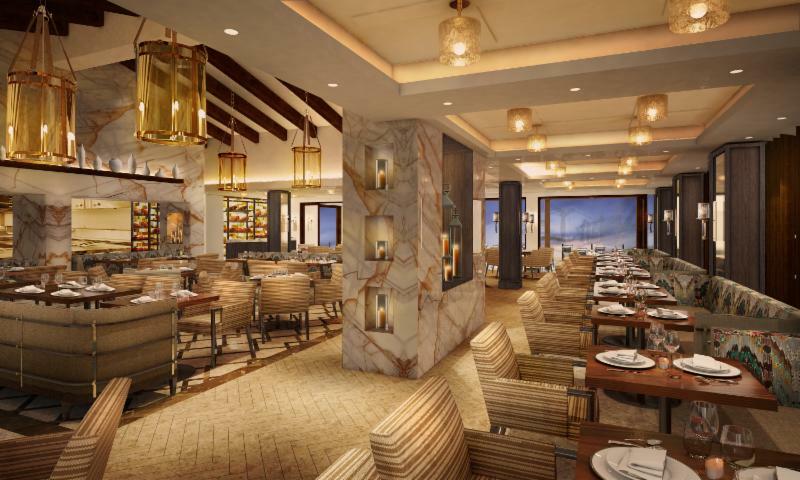 Guests may also dine al fresco on the restaurant's new expansive ocean-facing terrace. Guests are invited to enjoy the One&Only Lounge, adjacent to Suviche, and select from a vast array of cocktails, including an extensive selection of Mexico's finest tequila and mezcal. Floor-to-ceiling windows offer spectacular vistas of the sunsets, as guests can lounge on low couches before or after dinner, while listening to nightly live entertainment, enhancing the vibrant ambiance every evening. At the popular local and guest favorite, Agua by Larbi, the large and airy space has been newly redesigned with an earth-to-sea tone design scheme by David Mexico. Chef Larbi Dahrouch and his team will welcome guests throughout the day to enjoy the farm-to-table dining, offering authentic Mexican cuisine with some Mediterranean influences. The menu will change seasonally, with some menu items changing daily, depending on the fresh catch and produce available from the organic garden. Interactive dining will be showcased here, including fresh, hand-made tortillas, authentic moles and signature guacamole and ceviche made tableside. A protégé of the late 3-Michelin-star-chef Jean-Louis Palladin, Dahrouch's travels throughout Mexico in search of regional flavors have enabled him to provide One&Only Palmilla guests with unique dishes that are authentically Mexican. The open kitchen allows guests to observe his team's techniques, while the restaurant's wine cellar contains the world's largest selection of Mexican wines, as well as wines from around the world. Agua by Larbi also offers guests a wealth of beverage options from the dedicated tequila and mezcal trolley, which introduces guests to the distinctive Mexican spirits, from the blanco, reposado and anejo varieties of tequila to the unique and lesser-known mezcal. The restaurant's al fresco dining space leads down to a series of unique pods with tile-topped oval tables surrounded by stone and cushioned banquettes that perch on the cliff's edge, affording diners an uninterrupted view of the Sea of Cortez-one of these, Larbi's Table, seats 15, and is ideal for celebrations. The resort's central terrace leads guests to the casual outdoor Breeze Café, which overlooks one of the resort's two free-form pools, framed by the vista of the Pacific Ocean. Breeze offers guests a variety of options for the perfect breakfast, a light lunch of salads and Mexican delicacies and all-day snacks showcasing fresh and organic produce. A beautiful renovation and realignment of the spaces in the One&Only Spa and Fitness Center underscores the dedication to wellness that is a central feature of One&Only Palmilla. The 22,000-square-foot spa offers extensive space both outdoor and indoor, providing guests with a sense of calm and seclusion. Signature treatments take place within a series of 13 private treatment villas, each set within its own secluded landscaped courtyard, many complete with plunge pool, rain showers and swinging day beds. A tranquil lunch or fresh juice in the spa's Yoga Garden is another delight for visitors. The latest innovation at One&Only Palmilla is the OBO Salon by Jonathan & George.One&Only created this brand-new beauty salon concept and partnered with Beverly Hills celebrity stylists Jonathan Antin and Amanda George to open their first off-site venture.One&Only Beauty introduces signature "unplug without being undone" hair and beauty treatments to Los Cabos - perfect for the needs and tempo of a tropical beach vacation: guests may opt for formal appointments or a quick drop-in for a pre-dinner touch-up. The OBO Salon has created a series of styles designed to reflect the personality of each of the world'sOne&Only resorts and it will also cater to every beauty need of the dozens of weddings and milestone celebrations hosted annually at the resort. Not to forget the men, Barber&Blade is being introduced as One&Only Palmilla's exclusive new men's salon. A dedicated team of grooming experts will offer male guests the chance to unwind and indulge in a series of shaving, grooming and barber shop treatments, as well as pampering for the face and scalp.